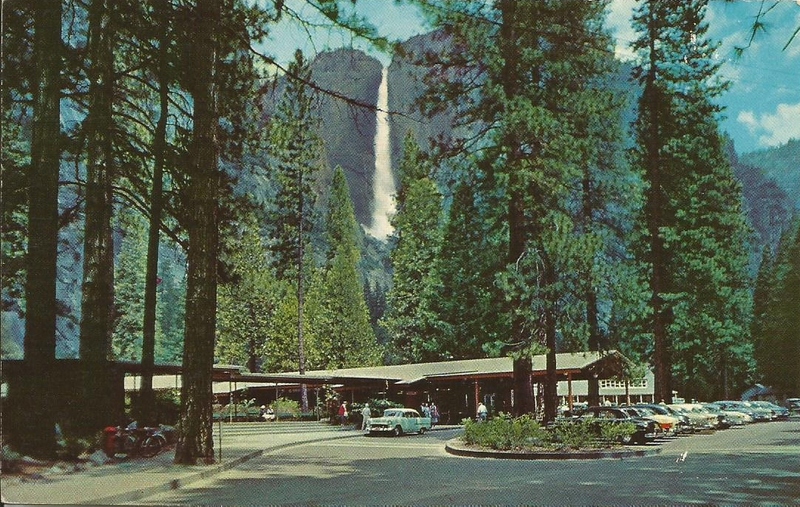 An excellent view of Yosemite Falls from Yosemite Lodge. Upper Fall is 35 feet wide at the top, plunging 1,430 feet over a perpendicular granite wall. The park and Yosemite Lodge are open all year, the Lodge, the center of winter skiing activities. Ski season runs from about Dec. 15 to Apr. 15.